(September 16, 2018) The Charlotte Area Transit System (CATS) is changing bus routes 16 and 56 in Steele Creek on October 1. Route 16 South Tryon: Route 16 currently runs from Uptown to Whitehall Commons Shopping Center. The new route will continue along South Tryon Street to CMC Steele Creek on Steelecroft Parkway. Bus stops within Whitehall Commons will be discontinued; riders will need to walk to South Tryon for service on Route 16. Route 56 will no longer go to CMC Steele Creek. Route 56 Arrowood: Route 56 will no longer run down South Tryon Street to CMC Steele Creek. Route 16 will replace 56 along South Tryon Street south of Whitehall. Instead, Route 56 will be extended to Charlotte Premium Outlets via West Arrowood Road, Brown-Grier Road, Steele Creek Road, and Dixie River Road. Service to Whitehall Commons Center Dr. will be discontinued; riders will need to walk to West Arrowood Road to ride Route 56. Route 56 runs inbound to the Arrowood LYNX station. A CATS representative will be at the Transportation Town Hall meeting on Tuesday, September 18 at 6:30 PM at Steele Creek AME Zion Church and will be able to provide additional information about the route changes. See Transportation Town Hall. 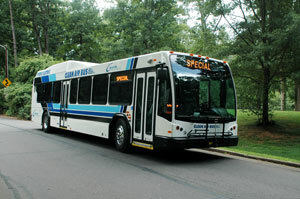 For information about the route change or other CATS service, visit the CATS Web Site.